The Evening Grosbeak is featured on the cover of the 2016 PIF Landbird Conservation Plan, as it has the dubious honor of experiencing the steepest population decline (92% since 1970) of all landbirds in the continental U.S. and Canada. Formerly a favorite at winter feeders, this nomadic species has all but disappeared in the Appalachian Mountains and has suffered heavy declines elsewhere. Lack of information may be one of the greatest threats to improving conditions for this difficult-to-study species. 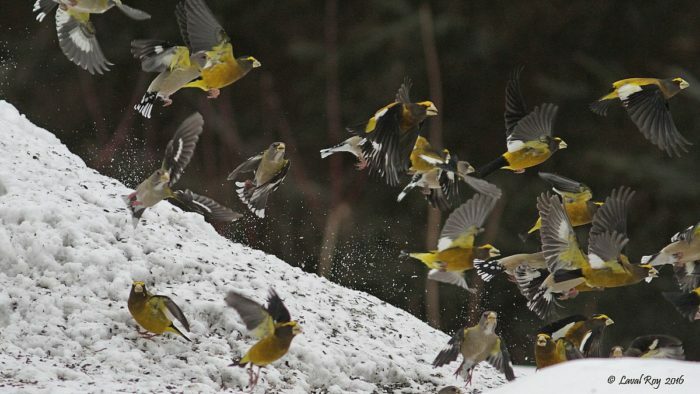 While it is often found in large feeding flocks, the Evening Grosbeak’s secretive nesting behavior has resulted in surprisingly little demographic or ecological data. Given its steady decline, a focus on understanding its irruptive behavior in the eastern portion of its range, and what is driving population trends would be extremely useful for developing conservation strategies to help this species recover. Ralston et al. 2015. 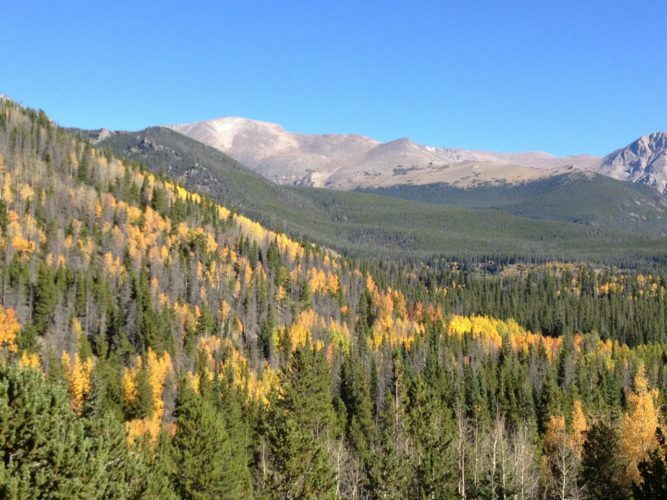 Analysis of combined data sets yields trend estimates for vulnerable spruce-fir birds in northern United States. Siegel et al. 2014. Vulnerability of birds to climate change in California’s Sierra Nevada. Kirk et al. 2012. Avian assemblages differ between old-growth and mature white pine forests of Ontario, Canada: a role for supercanopy trees? 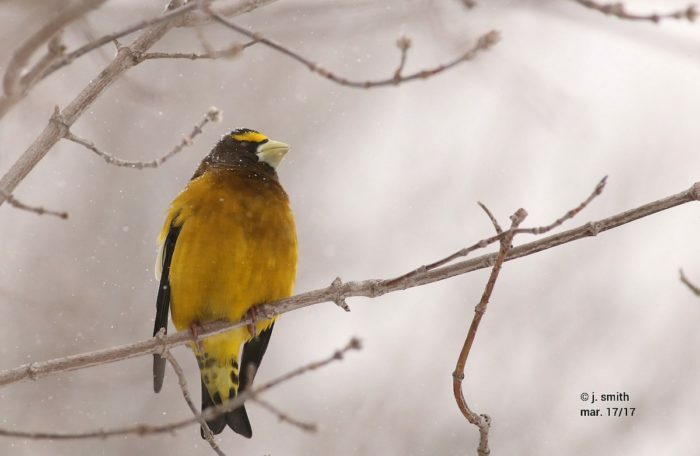 Typically thought of as a boreal forest species, the Evening Grosbeak also breeds in mixed-conifer and aspen forests throughout the mountains of the western U.S. and northern Mexico. In some areas, this species is associated with older-age conifers, as well as seed-producing hardwoods such as maple, box elder, and elm. Rocky Mountain National Park, CO. © Ken Rosenberg.